LG V30 Plus Price, Review, Deals, Cost, & Sales! Home / Compare Cell Phones / LG V30 Plus Price, Review, Deals, Cost, & Sales! The LG V30+ has a large 6" screen with minimal bezels yet surprisingly light and packs a number of power punching features. This device comes with a 6.0" QHD+ OLED Display with 2880 x 1440 pixels and a pixel density of 538 PPI. 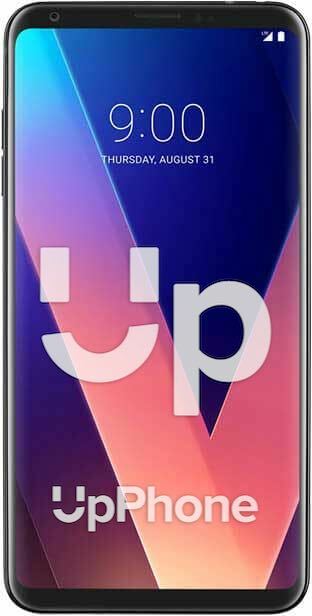 It's cousin, the LG V30, has the same display screen as the V30+. The V30+ has a dual rear camera. The first one is a 16 MP with a glass camera lens for superb clarity and the second one is a 13 MP wide-angle lens. The front camera is a 5 MP wide-angle lens. This phone can record 4K videos at 30fps. It has a storage capacity of 128 GB and supports up to a whopping 2TB via microSD. While the V30 has the 64/128 GB variants and expandable storage of up to 512 GB via microSD. The LG V30+ has a single downward-firing speaker and is very loud with little to distortions at higher levels. The audio, however, is prone to get blocked as it is located at the bottom. Unlocking the V30+ is through a fingerprint reader located at the back and a facial scanner. Both of which are very quick and mostly accurate. This device runs on Qualcomm Snapdragon 835 2.45 GHz x 4 + 1.9 GHz x 4 Octa-Core MSM8998. Performance is top-notch and multi-tasking is a breeze even with gaming apps. The LG V30 has the same Qualcomm MSM8998 Snapdragon 835 chip. Backing the device is a 3,300 mAh battery which supports fast charging. Despite the 6" display footprint, the battery will last the average user more than a day of use which is impressive. This device is rated IP68 which means it can be submerged in water for up to 1.5 meters for 30 minutes without problems. The LG V30+ has a very large. It has a Dual Window mode where users can split the screen and use two apps at the same time. This phone supports fast charging. The LG V30+ supports Virtual Reality (VR) platform. This device is shock resistant with MIL-STD-810G compliance certificate. It comes with a built-in heat pipe to dissipate heat faster.